This special package set contains one SMARTROLLER foam roller and one SMARTROLLER Guide to Optimal Movement exercise book by Stacy Barrows, PT, DPT, GCFP, PMA®-CPT. 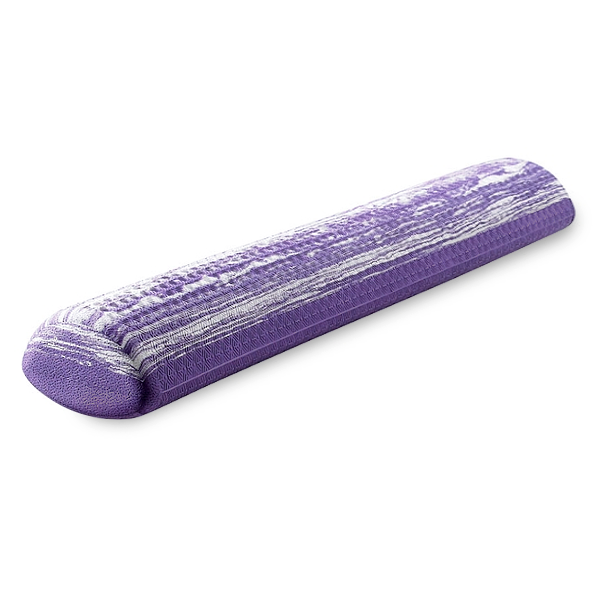 This uniquely designed foam roller offers two sides for versatility in a variety of movement exercise. With the flatter side down, it can be sat on and stood on for balance-related movements. Placing the rounder side down provides a more challenging, dynamic workout. In addition to functioning as a therapeutic aid for rehabilitation and balance training, the SMARTROLLER can be used as an exercise prop for a variety of disciplines including Yoga, Pilates and Feldenkrais®. Dr. Feldenkrais, a physicist and martial artist, originally introduced the foam roller to assist sensorimotor learning and to promote higher states of body awareness. Building upon his ideas, the SMARTROLLER delivers an improved, integrated experience to deepen motor learning. The SMARTROLLER can be cleaned with dishwashing detergent or laundry detergent and a wet cloth. Measures approximately 36" L x 4" diameter. Drawing on principles of the Feldenkrais® Method as well as the latest neuroscience and fascial research, the SMARTROLLER® Guide to Optimal Movement guides the reader through a series of unique, non-traditional exercises. These exercises, known as "smart ideas," promote movement awareness to eliminate unwanted habits, improve proprioceptive acuity, and enhance vitality and strength. The accessible and engaging guidebook features a wide variety of fun, uniquely challenging lessons for people of diverse ages and abilities. Written by Stacy Barrows, PT, DPT, GCFP, PMA®-CPT. Illustrated, spiral-bound. Softcover; 92 pages. I use the smartroller every day in my physical therapy practice and my patients find that the shape of the Smartroller allows for more comfort. It can be extremely calming if someone has pain. The regular roller can be very uncomfortable in the thoracic and SI joint areas. The book has great illustrations and I often have my patients buy the book to use as a HEP. Great resource for rehab and learning! The SmartRoller and Book book are an excellent resource for improving the functioning of your entire body. I find that the exercises are highly intelligent and creative in a way that allow for the user to develop coordination, strength and fine motor control. The exercises are especially potent for developing "core strength," and proof that you don&apos;t need expensive machines to improve your strength and coordination. The SmartRoller itself is cleverly designed for more stability on one side and less on the other, making it ideal for either increasing or decreasing the amount of difficulty for the student. I also find that the sturdy and elegant design also makes it more durable and visually, more pleasing, than conventional rollers. I love this roller. It is very different than the traditional foam rollers that many of my patients could not tolerate, even when it was a half roller. 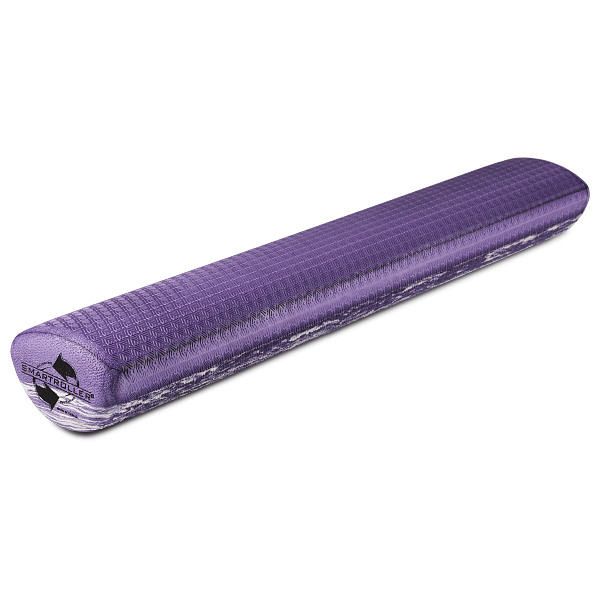 This roller is actually comfortable to use, while working more effectively on balancing the body and integrating movement. The manual is well organized, simple to read and execute and has so many different ideas for using the roller than I could ever have thought of! I am very happy with this product, as are many of my patients!